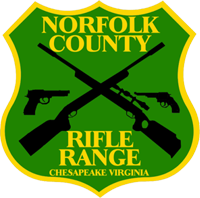 Norfolk County Rifle Range, Inc.
Norfolk County Rifle Range (NCRR) was established in 1947 as a private shooting club. Membership is available to all citizens that are not legally barred from ownership of firearms. 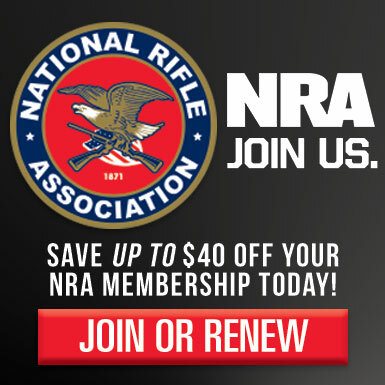 NCRR members must also be current members of the National Rifle Association (NRA) and the Virginia Shooting Sports Association (VSSA). NCRR is a private club and is not open to the public for general shooting; however, the public is allowed to participate in events on our calendar and we encourage you to attend. NCRR does not loan firearms for events, nor does it sell ammunition or supplies. Some special events may provide necessary equipment or materials on a limited basis. NCRR’s primary goal is to promote safe and responsible use of firearms and provide its members with a safe environment in which to enjoy the various disciplines or types of the shooting sports. After meeting certain qualifications members are granted access to the club’s 25 yard indoor firing range suitable for most common pistol cartridges. The trap range is available for use when a Trap Range Safety Officer is present or can be used without a Trap Range Safety Officer, if using portable throwing devices or patterning a shotgun. There is no qualification for members to use the archery range. The public and NCRR members are encouraged to participate in the many competitions offered. NCRR sponsors NRA, USAS, ATA, FITA Archery, and IDPA sanctioned shooting tournaments at the club facility in Chesapeake and at other ranges in the area. Tournament dates are listed in the club calendar, in the NRA Shooting Sports USA, in the VSSA Bullet, and on the IDPA website . Members and non-members may also compete in weekly league-type competitions. Periodic informal training and coaching sessions serve as an introduction to competitive shooting for those that are interested in entering formal competition. The club conducts organized Archery, Smallbore and Airgun programs for junior competitors. These junior programs are in place to train our youth for the possibility of becoming future Olympians. Safety, competitive skills, and sportsmanship are emphasized. NCRR is focused on being involved with the community and helping to ensure safe exposure to and education on, the shooting sports in non competitive ways. NCRR offers a variety of ways in which the community can be involved through Women on Target and Brownell’s NRA Sports Shooting Day events.